The SIUE Alumni Association is proud to offer several scholarship opportunities each spring for the up-coming academic year. Applications are accepted September 1 through January 31. In order to begin the application process, applicants must be accepted to SIUE and have received your e-ID and password. To apply, click on a link below and sign in to SIUE's new online scholarship system, which houses more than 450 opportunities, and fill out the general scholarship application. Then, the system will recommend scholarships and awards you may be eligible for. The SIUE Alumni Association Legacy Scholarship is a scholarship program for children, grandchildren, siblings and spouses of alumni. The Alumni Association's Board of Directors annually awards two full scholarships - one to a current undergraduate student and one to an incoming SIUE freshman- in addition to five, $500 scholarships per year. 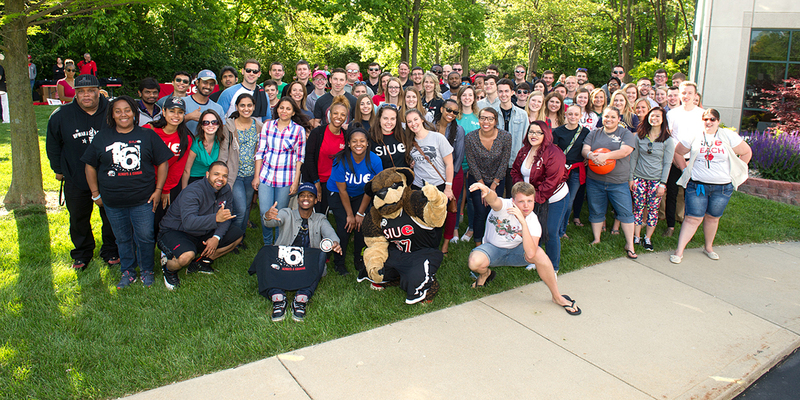 The SIUE Alumni Association Board of Directors Scholarship, funded by the members of the board, awards several $1,000 scholarships to incoming freshman, current undergraduate students, college transfer or non-traditional SIUE students each year who have shown exemplary leadership skills and campus and community involvement. To browse all SIUE scholarship opportunities and awards visit siue.academicworks.com. Login at siue.academicworks.com/users/sign_in with your e-ID and Password. You must have already been accepted to SIUE and received your e-ID and password. Fill out the general scholarship application. The system will search for scholarships and awards you may be eligible for. For some, you will automatically be entered into the applicant pool and others may require you to answer additional questions. Continue to check the system regularly as new scholarships become available at different times, also be sure to browse our “external” scholarship list that provides information and direct links to outside scholarship websites. For additional information, please call the SIUE Alumni Association office at (618) 650‑2760 or email siuescholarships@siue.edu.